Date 22.06.2017 A Builder from Bristol who battled skin cancer is urging all outdoor workers to protect themselves. 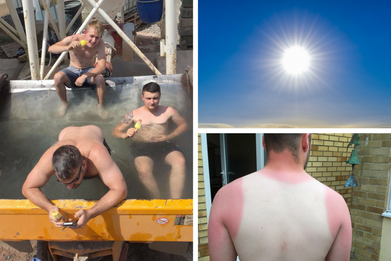 After battling through skin cancer, he is speaking out to ensure outdoor workers lather on the sun cream! UV Radiation is at its highest levels through April – October, which means it can cause skin cancer at its highest. Spending long periods of time outside in hot weather can cause unseen damage to your skin, which can lead to the development of skin cancer. Michael said: “There wasn’t any awareness of the dangers of being out in the sun when I started in the building trade. So what do you think of this? Do you protect yourself against the sun?